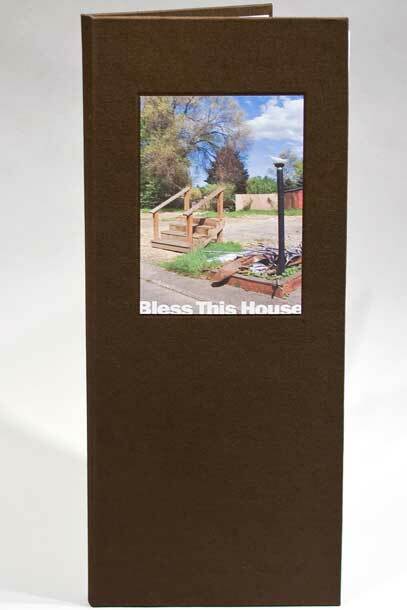 Scroll to the bottom of this page to read Bless This House, the poem featured on the inside front panel; the back story behind the book; and to view more images. Click here to purchase this book via the 23 Sandy Gallery online store. Click here to purchase the POD book. Limited Edition Artist Book: Accordion fold text block with case-style hard cover. Archival digital printing on Red River Polar Matte paper. 6.25 x 16.25 x .5 inches extending out to 55 inches. 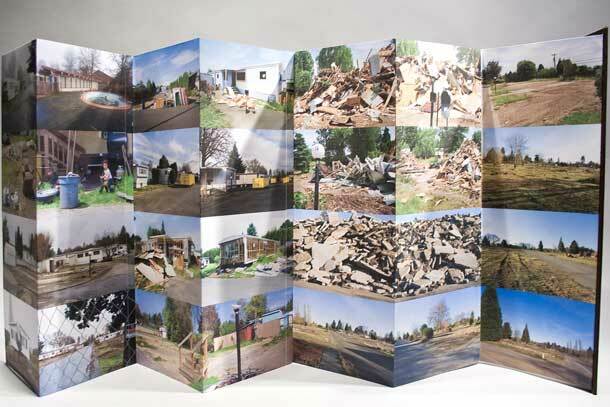 Features 55 original color photographs plus a poem written by the artist. 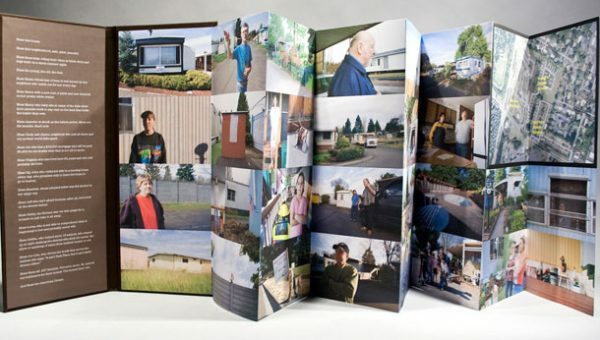 This book is accompanied by a four-page color copy of a newspaper article about this project plus a copy of the 62-page, full-color, perfect-bound paperback Print on Demand (POD) book which includes expanded writings telling more detailed stories about the residents we met at the trailer parks, as written by project partner Nicole Bowmer. Edition of 25. 2010. Open Edition Print on Demand (POD) Book: 62-page paperback, perfect bound book. 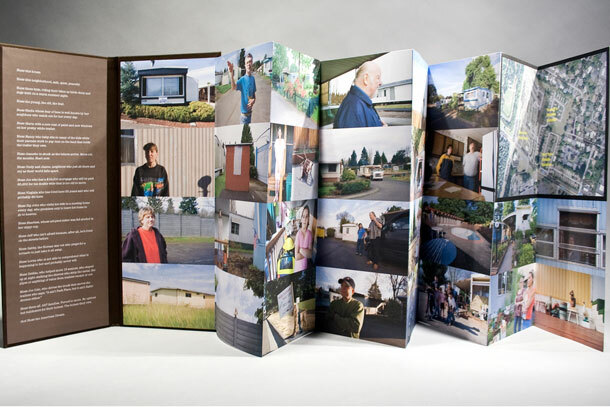 Includes expanded writings telling more detailed stories about the residents we met at the trailer parks, as written by project partner Nicole Bowmer.